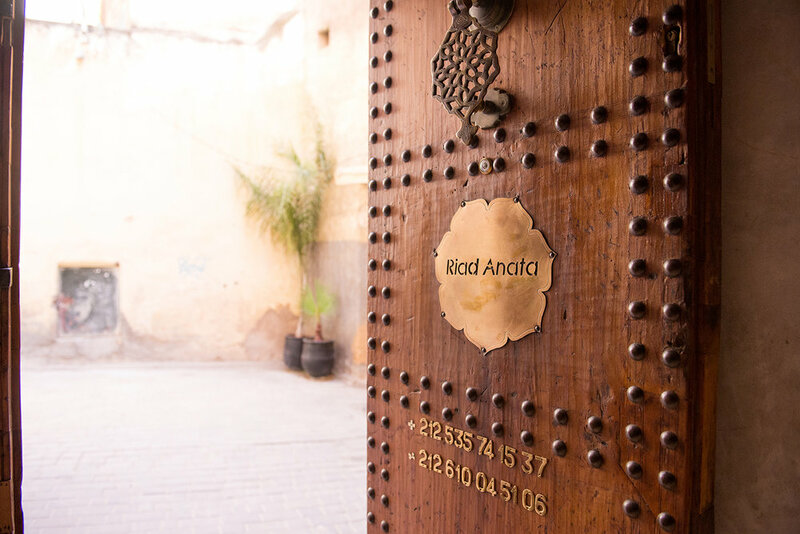 Riad Anata is a 5 room, Adalusian-inspired guesthouse ideally situated in the renowned Fez medina. 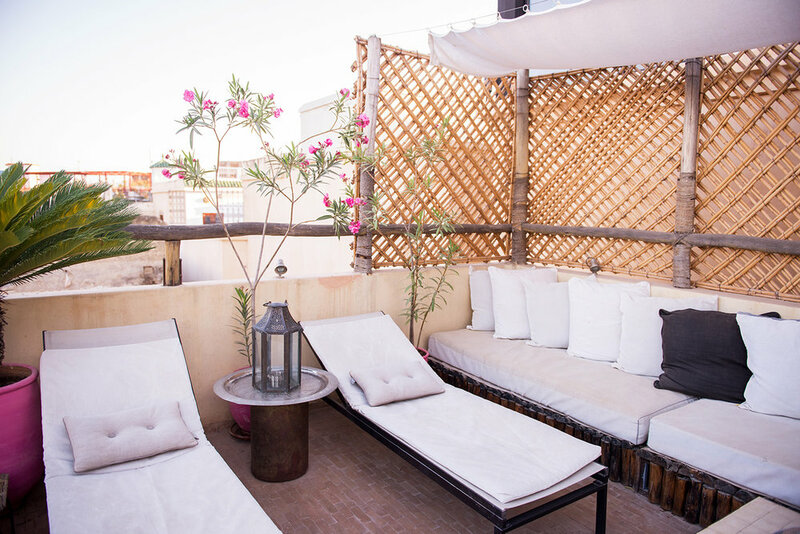 With 4 floors and 5 color-themed rooms, there is also a rooftop terrace and a lower lounge, all beautifully decorated. 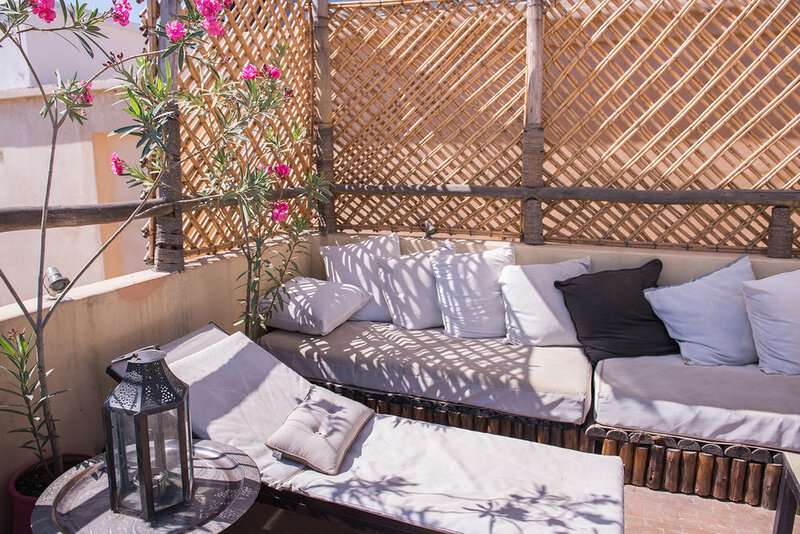 The boutique guesthouse is run by Valerie, the owner, and her lovely staff that anticipate your every need. 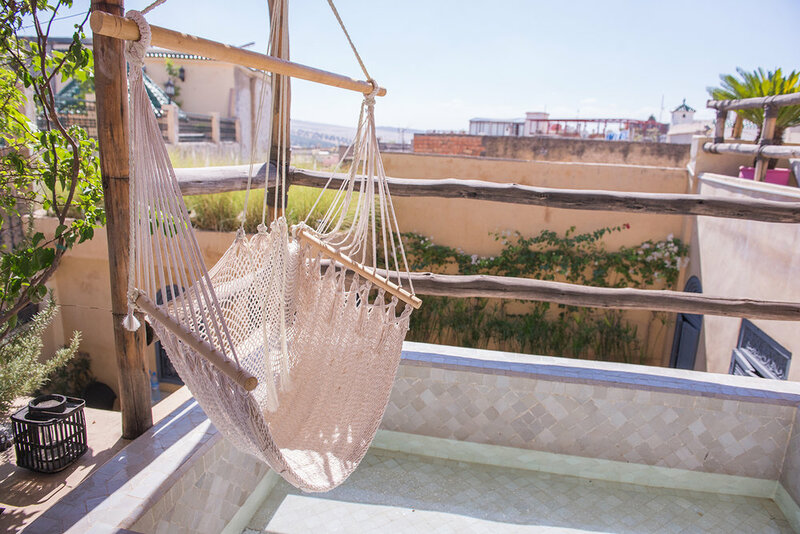 Relax in the lounge with one of the books from the library, or cool down in the plunge pool on the rooftop, taking in the sights and sounds of ancient medina. Each of the five rooms are color-themed and a haven of peace. 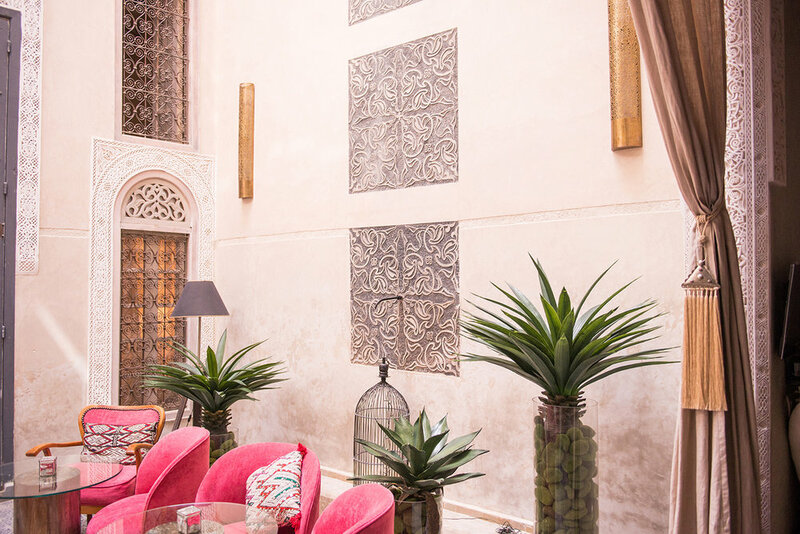 You will enjoy high quality beds, a hearty breakfast, faultless service and a rooftop terrace overhanging the medina (old city). Breakfast or dinner will be served at your choice on the terrace or in the patio. 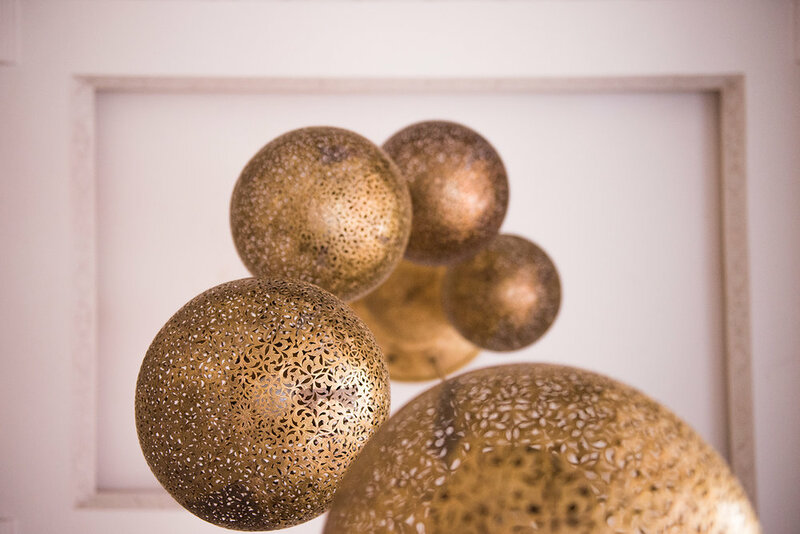 Enjoy the sweetness of Fez golden light on our deck. 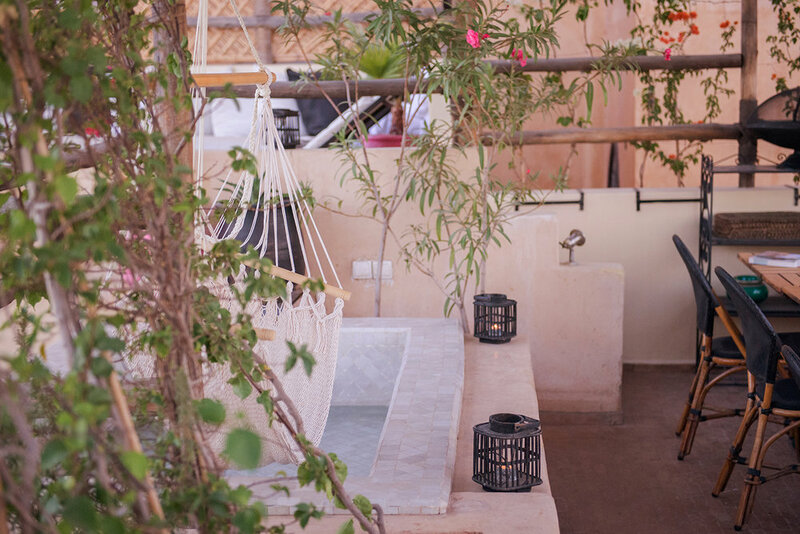 At sunset, refresh yourself in our wading pool while enjoying the view over the medina. Additional amenities include: AC, wifi, Bed linen MyBed™ , hating towel bar, Baby chair & Bed upon request. 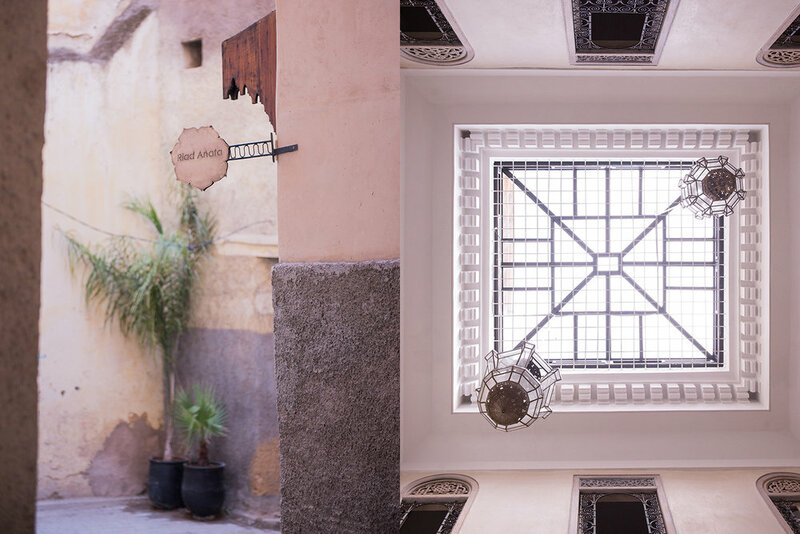 Situated in the old medina, the guesthouse is just 2 steps from Place Batha and 100m from secure parking. 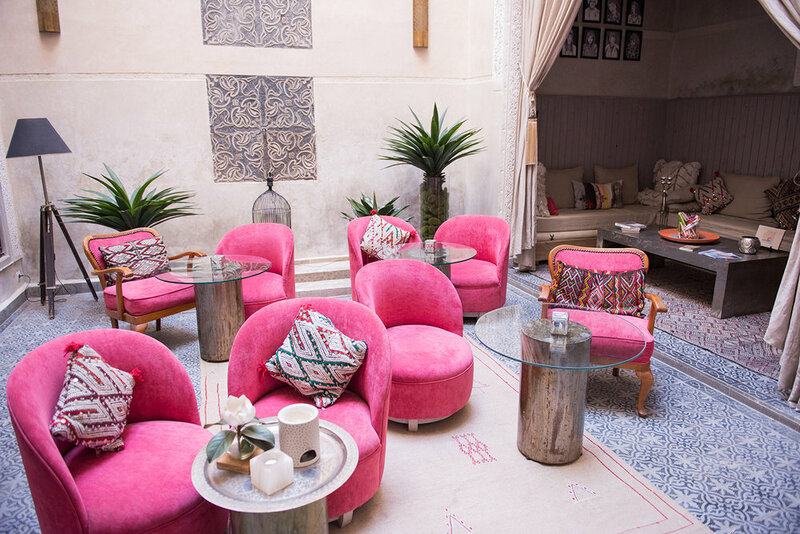 Riad Anata is a 25 minute drive to the Fez Airport. Kids under 4 are free, additional people are $28. Fez is one of the five Morocco imperial cities, UNESCO world's heritage, and has the largest medina. Get lost in this fascinating maze of shops or hire a guide to help you navigate the twists and turns so you don't miss out on the many highlights. 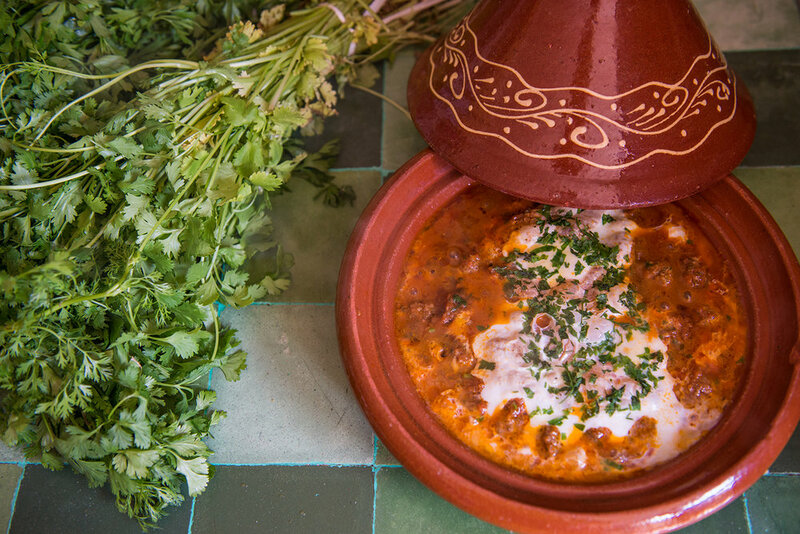 Riad Anata can help organize: Excursions, cooking classes, and workshops for yoga, belly-dancing, artcraft, and more.